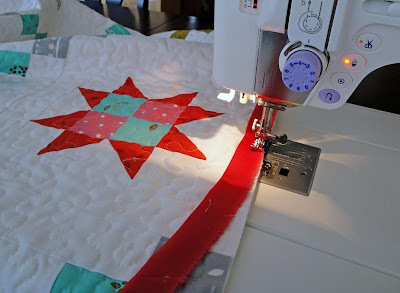 This one has been on my to-do list for quite a while. 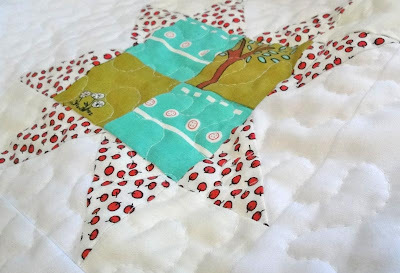 Many months ago I cut into my stash of Little Apples and Sherbet Pips fabric to begin making a quilt for a very good friend's mother. I got as far as making the blocks, but then other projects took priority. 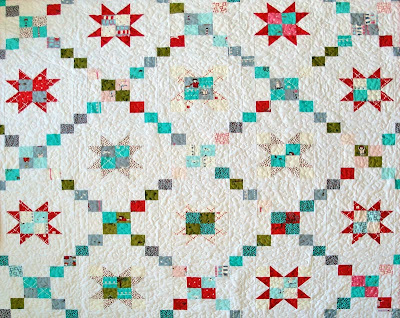 Over winter vacation I finally got a chance to finish the quilt. 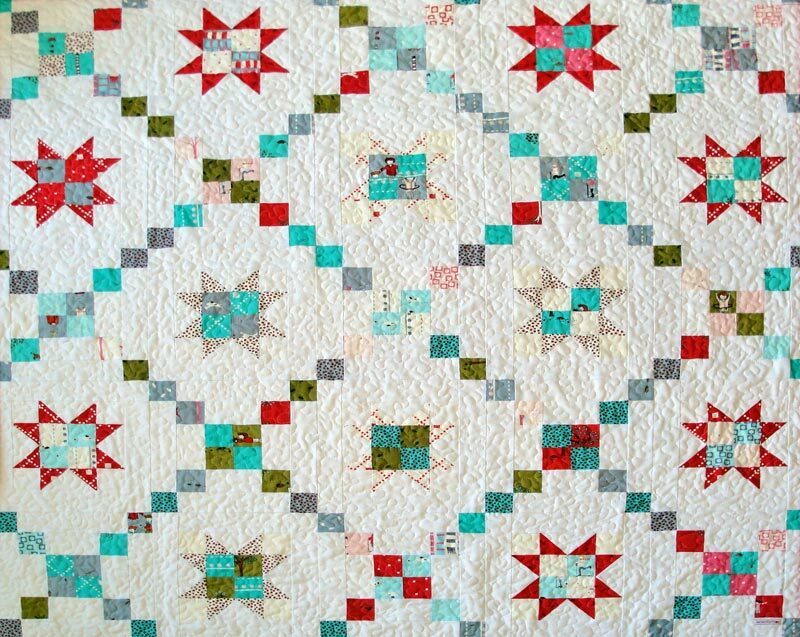 My friend's mother is of Irish heritage, so what better quilt pattern than the Irish Chain? 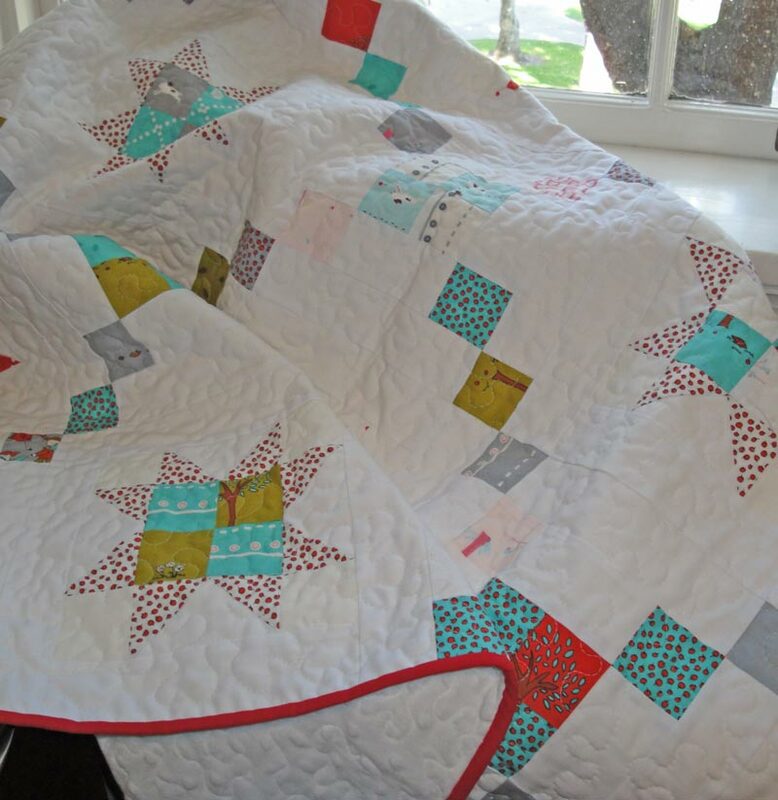 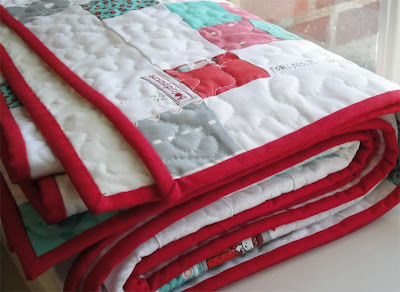 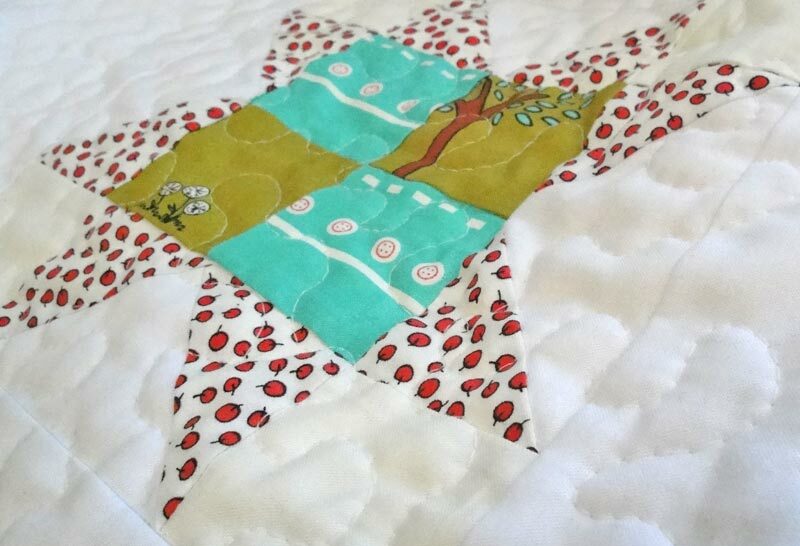 I bound the quilt in a lovely red and then had fun taking pictures of the finished project. The finished quilt is finished with super soft fabric, which will make it perfect for snuggling when a little extra warmth is needed because my friend's mom lives in a place where they actually get snow for the winter.